Fesyen di kalangan kaum lelaki pada dahulu nya bukanlah sesuatu yang penting. Tetapi pada abad ini, ia merupakan satu kemestian bagi lelaki untuk berfesyen. Fesyen yang sesuai memainkan peranana yang amat besar untuk menunjukkan identiti kita yang sebenar. Walau bagaimana pun masih ada juga kaum lelaki yang belum lagi mengambil berat tentang fesyen sebagai pembawa identiti. Pandai berfesyen tidak semestinya menunjukkan diri kita “perfect”. 70% lelaki masih lagi mengambil masa 30 saat untuk berfesyen. Masa sependek ini sudah tentu tidak cukup untuk memberi dan menghasilkan penampilan yang bagus untuk kita. Fesyen dan penampilan haruslah sesuai dengan persekitaraan. Retro Retro juga menarik di pakai gaya retro bagi musim ini.. colourfull gitu… Di sini saya paparkan serba sedikit gaya Retro yang sesuai untuk digayakan pada tika ini.. The history of Puma is a journey through some of the world’s greatest sports achievements of the last fifty years or so. Not only that, but trainers with the sign of the leaping cat with the Puma ‘Form Stripe’ log have been on the feet of most of the cutting-edge youth movements of each generation during that same time. The story of Puma and its founder, Rudolph (Rudi) Dassler, began in Germany in 1948 but, as has been discussed previously, the roots of the company go right back to the 1920s and are inextricably linked with those of adidas, founded by Rudolph’s brother Adolph (Adi). However there more to Puma than a tale of sibling rivalry. Interestingly, Puma is more ready than adidas to shed light on the split of the Dassler brothers, but this will be looked at later. Back in 1924, in more harmonious times, Rudi and Adi Dassler, the sons of a cobbler, formed the company Gebruder Dassler OHG (Dassler Brothers Ltd) after a period of collaboration on sports shoes development in their hometown of Herzogenaurach, near Nuremberg. ‘You cannot play sports wearing shoes that you would walk around with’ were the words of Puma’s founder, and it was this sentiment that became the driving force behind the sports shoe improvements that the Dassler brothers introduced. 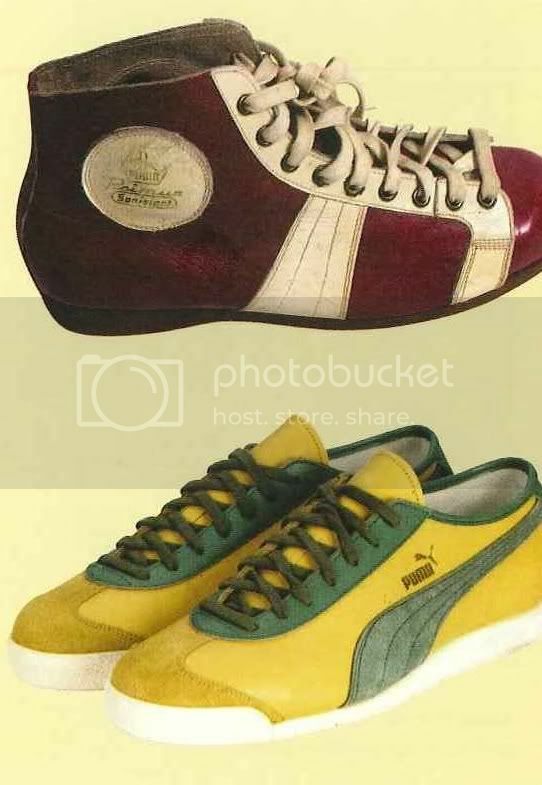 After initial success and further substantial growth, trouble broke out between the brothers and they decided to split in 1948, with Rudolph establishing Rudolph Dassler Sports on the side of town, manufacturing shoes under the brand of Puma. 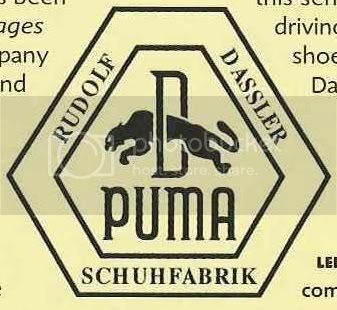 It is said that at first Rudolph wanted to call his brand Ruda, but decided to go with the idea of leaping cat instead, and so Puma was born. In 1051, he registered the first version of the Puma logo, which has undergone considerable alterations and updating over the years before settling on the incarnation that we are all so familiar with today. A few years later, in 1958, Puma introduced the now familiar ‘Form Strip’, the logo we see on the side of all Puma shoes to this day. This addition, however, was not simply an aesthetic design feature; its intention was to provide the shoes with extra strength and durability. The company went from strength to strength, with Puma-clad runners winning gold medals at various Olympic Games and other international sporting events. Puma can also lay claim to being the first brand to utilize Velcro straps in 1968, and it was at this time that Puma and adidas were both making inroads into the American market. These German brands went on to dominate the 1970s and their shoes from this era, such as the Clyde and State/suede, still sell in huge volumes. It is during these years that Puma achieved the type of cultural following that any manufacturer would die for. Puma was particularly favored by the brash, new Hip-Hop ‘tribe’ in the late 1970s/early 1980s. In 1986 Puma change fundamentally, going from a family business to being list on the German stock exchange, and this corresponded with a general slump in sales for the ‘old-skool’ brands such as Puma and adidas during the late 1980s and 1990s as new players Nike and Reebok began to enjoy ‘their moments in the sun’. Recently, by combining old designs with new developments, Puma has started to recover market share and is once more becoming one of the major players. It’s reasonable to say that not every brand of training shoes enjoyed the loyalty or success that has been illustrated by Puma, and the company established particularly successful relationships with soccer superstars such as Pele of Brazil, Johan Cruyff of Holland and Diego Maradona of Argentina. Some notable stories are particularly worth the retelling, Johann Cruyff was a sponsored Puma player while, at the same time, his Dutch international team was sponsored by deadly rivals adidas. When Cruyff was playing for his country he would rip off one of the three stripes on his jersey to negate the adidas connection. Such a demonstration would be impossible to imagine with the superstars of today’s game. The world’s greatest and most famous soccer player of all time, Pele, was Puma-clad, and he even developed a range of trainers to go with his endorsement. Pele always make a point of tying his shoe laces just before kick-off during 1970 World Cup to draw attention to his feet for the cameras and the world to see and take note. 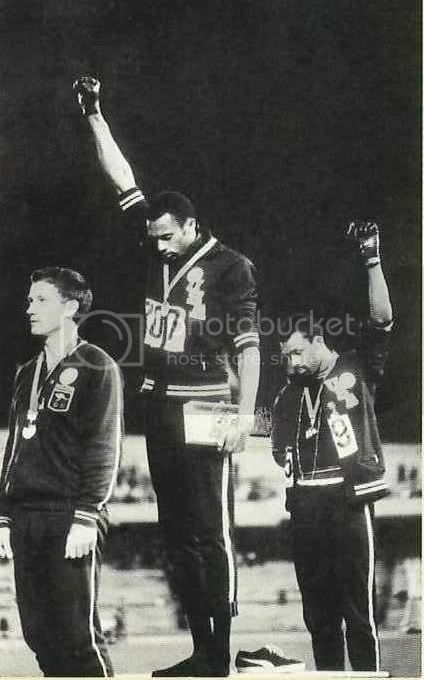 In a moment that enormous cultural significance, American athletes Tommy Smith and Jim Hines gave black-power salutes when receiving their medals at the 1968 Mexico Olympics. Their Puma sneakers were symbolically left on the rostrum and were forever tied to this famous statement. On either band of the Aurach River in Bavaria are the headquarters of the two Dassler giants. The extraordinary story of the Dassler family holds all the passion, bitterness and suspense of a real-life soap. ‘Dallas on the River Aurach’ they call it locally. The personal bitterness that has divided this family for nearly 50 years is equaled only by their ruthless commercial rivalry. According to Puma, the story of the Dassler brothers goes something like this. Both companies emerged from genius of Herzogenaurach village shoemaker, Adi Dassler and his brother Rudolph. As they struggled to put the business back on its feet after the war their partnership ended in a quarrel so violent that the brothers never spoke to each other for the rest of their lives. Just how it happened remains a closely guarded secret. Whatever the reason, the result was that Rudolph crossed the river and founded Puma. On the opposite bank, Adi coined the name adidas for his company and so their commercial rivalry began. 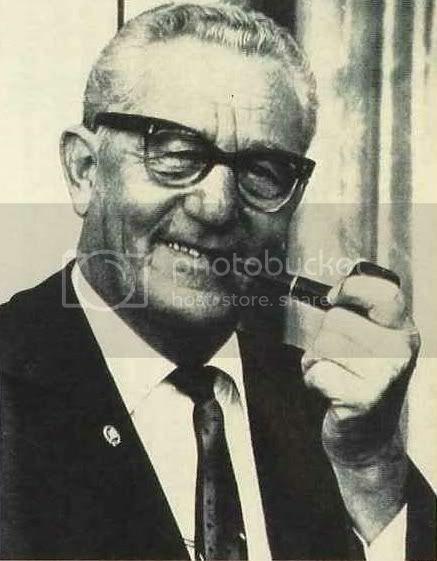 Frank Dassler, Rudolph’s grandson, stunned family members when he crossed the river and moved into a new home on adidas territory. ‘I broke the rules,’ says Frank. ‘I would hear stories of…the families refusing to use same butcher’. Adi and Rudolph are now both dead, but the rivalry continues to this day. It began in 1964 with a casual agreement and a handshake between University of Oregon track coach Bill Bowerman and Phil Knight, a middle-distance runner. The pair formed Blue Ribbon Sports and began importing Japanese brand Onitsuka Tiger running shoes, known today as ASICs, for sale in the U.S. In 1967, Knight and Bowerman made the handshake deal formal and incorporated as BRS Inc. Jeff Johnson signed on in 1965 as the company's first full-time salesperson and opened Blue Ribbon Sports' first retail outlet the following year. In 1971, Johnson made an incalculable contribution to the company: One night, he dreamed of Nike, the Greek goddess of victory, and suggested the name to his bosses. The company used the moniker for its first footwear product to feature the "Swoosh" mark -- a soccer cleat called the Nike, whose name beat out Knight's suggestion that they call it the Dimension 6. The Swoosh trademark was created by a graphic-design student from Portland State University named Carolyn Davidson. She got $35 for her creation. Looking to expand the line, Bowerman began experimenting with the concept of athletic shoes with rubber spikes. By pouring a liquid rubber compound into his wife's waffle iron, Bowerman created an innovative running-shoe sole. The company unveiled Nike "Moon Shoes" featuring the Waffle sole for athletes competing at the U.S. Olympic Trials in Eugene, Ore., in 1972. A succession of shoes, many based on the waffle outsole, followed. Some of the most famous are the Waffle Racer, Air Force One and Air Max 97. When tees featuring a lower-case "nike" script logo designed by Davidson hit stores that year, folks unfamiliar with the name asked, "Who's Mike?" when they spotted the shirts. A growing number of elite athletes competed in Nike footwear. Runner Mark Covert was the first athlete to wear Nike shoes across a finish line. Nike shoes got their first endorsement by a professional athlete when Romanian tennis personality Ilie Nastase signed on to wear Nikes on the court. In 1977, former aerospace engineer Frank Rudy teamed with Nike to create the first Air-Sole units -- durable bags filled with pressurized gas that compressed under impact, then sprang back. The result was Nike Air cushioning, which hit stores in 1979. In 1980, Nike went public. The year 1984 saw the signing of basketball megastar Michael Jordan to an endorsement contract, followed by the 1985 release of his signature shoe, the Air Jordan. Originally, the NBA banned this new shoe because it didn't match the league's dress code, but the ban simply served to give the design a higher profile and extensive publicity. Nike revenues topped $1 billion for the first time in 1986. The rest, as they say, is history. Nike followed up on its footwear fame by dressing athletes from head to toe, introducing apparel collections for tennis and basketball, which were popularized respectively by superstars John McEnroe and Michael Jordan. In 1988, Nike's "Just Do It" slogan was introduced, and it remains one of the most recognizable and successful commercial taglines. In 1990, the first NikeTown store opened in Portland, Ore. The company signed golfing phenom Tiger Woods in 1996. In 1999, Bill Bowerman, Nike's co-founder, died at age 88. The company bought bankrupt rival Converse for $305 million in 2003. In 2004, Phil Knight stepped down as CEO and president of Nike, but he continues as chairman. Headquartered in Beaverton, Ore., Nike remains one of the largest and most successful companies operating today. 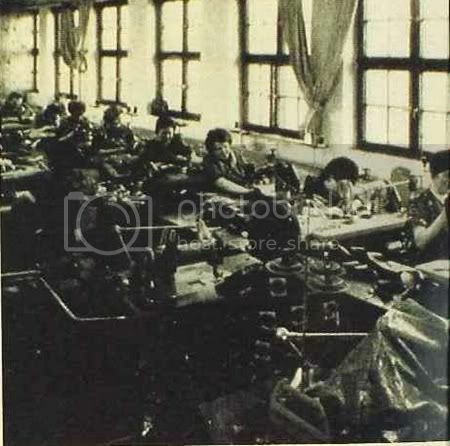 Adolf ("Adi") Dassler started to produce his own sports shoes in his mother's wash kitchen in Herzogenaurach, Bavaria, after his return from World War I. 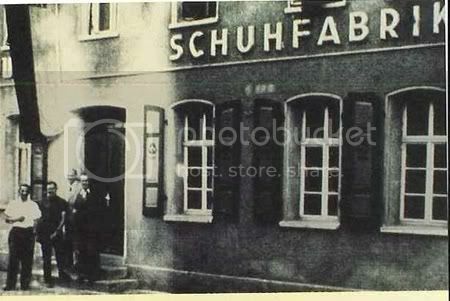 In 1924, his brother Rudolf (Rudi) Dassler joined the business which became Gebrüder Dassler Schuhfabrik (Dassler Brothers Shoe Factory) and prospered. At the 1928 Olympics, Dassler equipped several athletes, laying the foundation for the international expansion of the company. During the 1936 Summer Olympics in Berlin, Dassler equipped quadruple gold medal winner Jesse Owens of the U.S. with his shoes. Late in World War II, the shoe factory shifted to production of the Panzerschreck anti-tank weapon. The brothers split up in 1947, with Rudi forming Puma, and Adi forming adidas. The company formally registered as adidas AG (with lower case lettering) on 18 August 1949. The backronym All Day I Dream About Sports, although sometimes considered the origin of the adidas name, was applied retroactively. The name is actually a portmanteau from "Adi" (a nickname for Adolf) and "Das" (from "Dassler"). semoga blog ini mampu memberi input yang berguna kepada setiap pengunjung semua. kekalkan gaya anda menerusi fesyen terkini. Kasut berjenama yang menjadi pilihan anda? Blog ini adalah mengenai pakaian atau fesyen yang menjadi ikutan masa kini. Apa yang ingin diketengahkan oleh saya dalam blog ini ialah sesuai bagi mereka yang mengikuti perkembangan tentang fesyen terbaru tetapi bagi mereka yang kurang mengetahui tentang fesyen juga boleh melawati laman blog ini kerana ia adalah universal dan adalah untuk tatapan semua. Oleh itu saya akan berkongsi kepada semua peminat blog mengenai barangan terbaru yang berkreteria seperti vintage (berkualiti), funky (menarik) dan rare (jarang dijumpai). Bagi saya tidak salah jika kita berminat terhadap barangan yang terhad ini. Walaupun tidak mampu untuk memiliki tetapi ia boleh dijadikan sebagai hobi untuk kita mendapatkan barangan tersebut. Berpakaian seperti ‘ VINTAGE FASHION ’ ini jangan disalah tafsirkan semata-mata untuk bermegah tetapi untuk memenuhi kepuasan dan mengikuti cita rasa seseorang individu itu sendiri.